Many users reinstall the Windows system when their user account is blocked because of the forgotten password. This allows you to access your account again. But it will format all your data on the hard drive, and it’s not recoverable. Don’t worry, there is a way to crack Windows 7/8/10 password with Windows Password Recovery. Everyone gets that uncomfortable moment in life when they must enter a password and do not remember. If you do it with your Windows computer, you must feel frustrated. But don’t worry, today we bring you a solution for all those users who have forgotten their Windows password. This post will also serve all those users who have lost their administrator account or administrator password. Whether Windows 10 or older versions, we can find a solution for forgotten or lost Windows password. Reinstalling the Windows system is certainly not the best choice because this operation can format all your data. 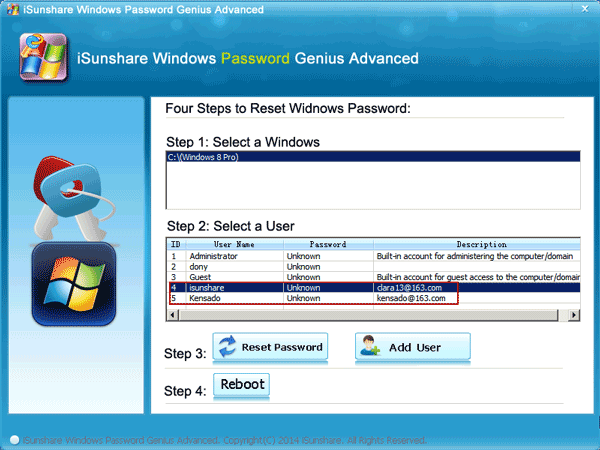 Instead of reinstall Windows system, it is more convenient and safer to crack Windows password. Download Windows Password Key which is able to crack forgotten or lost Windows password. Create a bootable CD or USB drive. Start the locked computer from the bootable CD or USB drive. Reset the password for the administrator or user account by following the steps indicated. Windows Password Recovery is a tool designed to crack Windows 7/8/10 password. With this software, you can easily reset the forgotten Windows 10, 8.1, 8, 7, Vista and XP password. You can crack Windows password in minutes instead of guessing it and finding it in hours or days. This is how you can freely access Windows. In addition, Windows Password Key does not capture or modify any data on your operating system. The Windows password reset is 100% safe and legal in case you use Windows Password Key only on your own computer. No need for computer skills. Now follow the steps below to crack Windows 7/8/10 password and access Windows again! 1. Download and install Windows Password Recovery on an accessible computer. 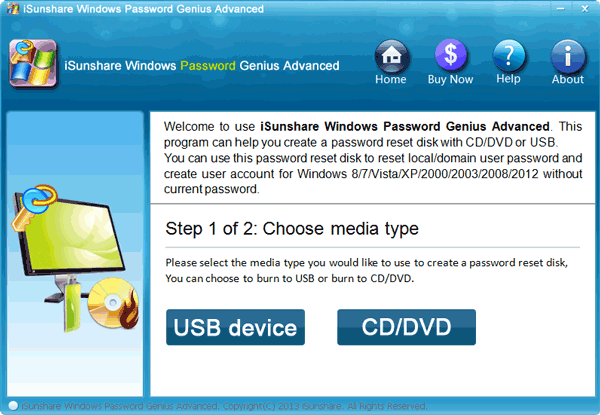 Insert a CD/DVD or USB flash drive to your PC and create a bootable CD/DVD or USB disk. 2. Insert the created bootable CD/DVD or USB disk into the locked computer and boot it from the corresponding disk. 3. Choose your Windows system and user account you want to hack on the Windows Password Recovery Software, then click the “Reset Password” to crack your Windows password to blank. Then reboot your computer and access into your Windows without password.